Within the last few years a number of large-scale works on violin makers have been published, and so it may be with some surprise that a new study of the makers of the Scarampella family appears in a relatively “modest” 143-page publication. The unassuming title—Stefano Scarampella—belies a detailed and splendid review of the lives and work of the members of this important family. The distinguished Brescian musicologist Marco Bizzarini, a faculty member at the University of Pavia, writes on the musical life of Antonio Bazzini, whose name is associated today with a Guarneri del Gesù violin, but in the 19th century was a leading figure in the concert life of Milan and Brescia. Bazzini, it turns out nurtured the Giuseppe Scarampella’s career from the very beginning. The remaining chapters are co-authored by Mr. Blot and Laura Marcolini. 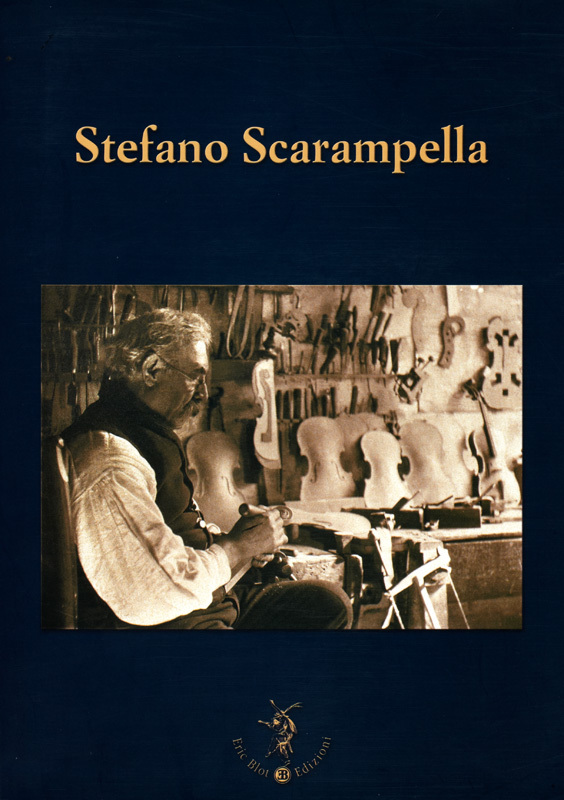 Beginning with a brief biography of Paolo Scarampella (1803-1870), who dabbled in violin making, and his least known son, Angelo (1852-1909), the career of Giuseppe Scarampella (1838-1902) is treated in considerable detail. As a young man Giuseppe was sent to Paris to work under Nicolò Bianchi, thanks to the positive recommendation of Bazzini. After returning home, Giuseppe was offered work with the Castellani firm in Florence, and his residence in the Tuscan capital permitted contact with a range of interesting virtuosi, collectors and superb instruments. Scarampella performed some work on the “Medici” Stradivari tenor viola and cello, though today critical opinion has severely questioned the wisdom of his interventions. Five of Giuseppe’s violins are illustrated in color in the second half of the book. Stefano Scarampella learned to make violins from his elder brother, but apparently opened a modest workshop in Brescia only towards 1880-81. A few years later, took work on the tram line being built to Mantua, and by 1886 he moved there. A far more prolific maker than his brother, his violins and cellos were frequently inspired creations that hark back to an earlier age, as the large range of his instruments illustrated in this book attest. Using models of Guarneri del Gesù and Balestrieri as the basis of a truly personal style, Scarampella attracted a devoted local following which continues to grow today. The great many vignettes of Stefano’s colorful personality are presented in a refreshing way, without seeming either pedantic or perfunctory. He collected embalmed birds, enjoyed fishing and once he even built a violin in the white for an American client. By all accounts, Stefano Scarampella followed his own muse and was rarely, if ever, tempted by fame and fortune. Even so, in his last years he was a charismatic, almost mythical character. Numerous violin makers claimed him as their teacher, when in reality only Gaetano Gadda could claim a legitimate apprenticeship. Some of the makers who formed what may be called Scarampella’s school are also briefly discussed. Most of the beautiful photography in this volume was done by Claudio Mazzolari, and Irene Dioli prepared a fine English translation. Editor’s note: This book is available from the Tarisio Bookstore.